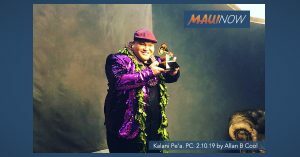 Kalani Peʻa picked up his second GRAMMY award tonight, this time for his sophomore album, No ʻAneʻi, which released in August. 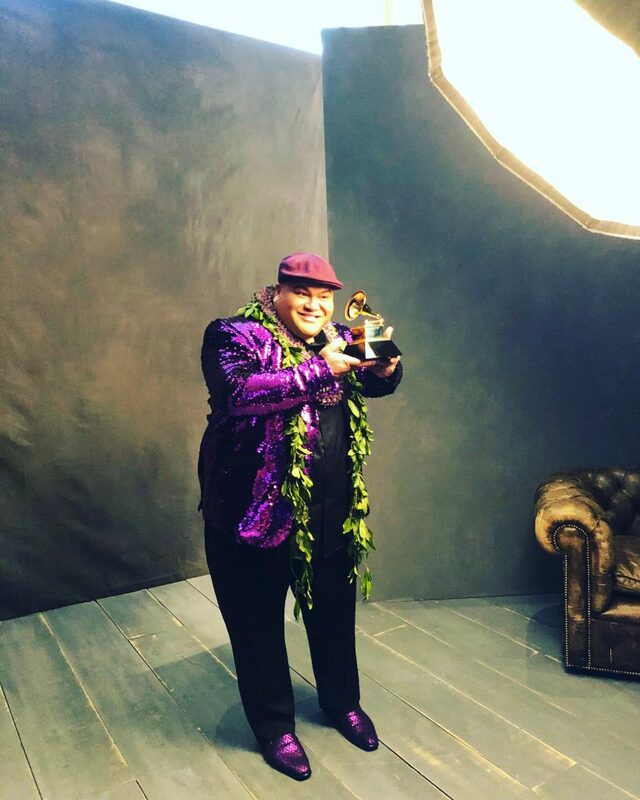 Dressed in a purple sequin blazer and beginning his acceptance speech  in ʻŌlelo Hawaiʻi, Peʻa said, “The Hawaiian language shall live!” He also thanked his parents and grandparents for “instilling cultural values and practices,” saying the foundation of cultural learning starts at home. Peʻa also thanked Nā Hoa, colleagues from Hawaiʻi who were also nominated in the category. Peʻa’s No ʻAneʻi album was one of two Hawaiʻi albums that were considered in the Best Regional Roots Music Album category that was awarded during a Premiere Ceremony which preceded the 61st Annual GRAMMY Awards telecast on Sunday. To be considered, the albums had to contain at least 51% playing time of new vocal or instrumental regional roots music recordings. Others in the category included: Nā Hoa featuring Keoni Souza, Ikaika Blackburn of Maui and Halehaku Seabury-Akaka; Kreole Rock and Soul by Sean Ardoin; Spyboy by Cha Wa; and Mewasinsational – Cree Round Dance Songs by Young Spirit.